A few months back Google surprised us by tripling Google drive’s free storage capacity from 5GB to 15GB. This is still in fact the highest amount of free storage provided by any cloud storage services online. With all this free storage space, storing and sharing large files has become a breeze. One of the biggest problem that you might face while sharing large files over the internet is, at most you will be able upload and share files up to 5GB in size. In case the files you want to share are larger than that, then you will have to pay for those services. But with Google drive’s free storage, you can store and share large files up to 15GB in size. This is perhaps more than sufficient for most of us. Additionally you can also set permissions for specific people and control who can access the files on your Google drive storage. You don’t need to worry if you have gigabytes worth of videos or other files to share with your relatives abroad. 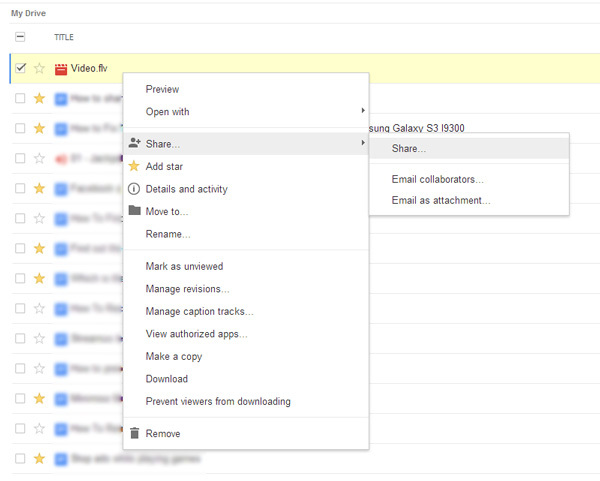 With Google drive you can upload your videos and easily share them with your family and friends. Sharing large files was never easier than this. 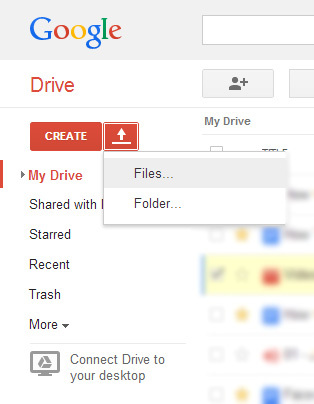 Here’s how you can upload and share large files from your Google drive storage. Step 2: Click on the upload icon and select the file which you want to upload. Wait until the upload completes. Step 4: Once the upload completes, the file will be added to your Google drive storage. 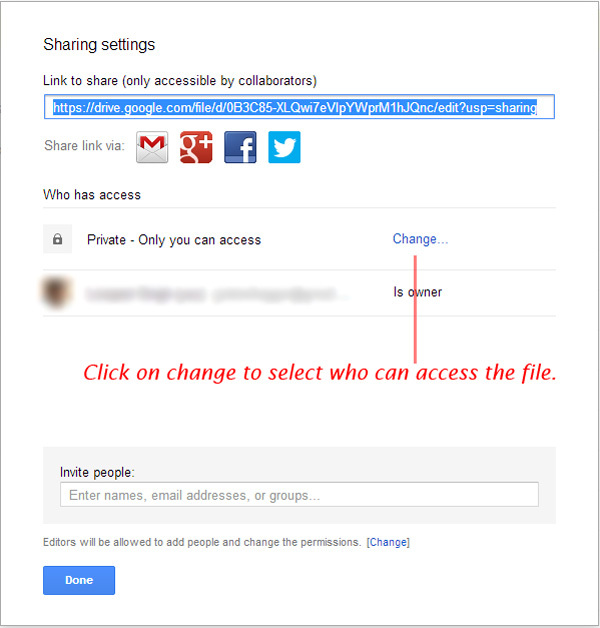 Step 5: Right click on the file and select Share > Share. 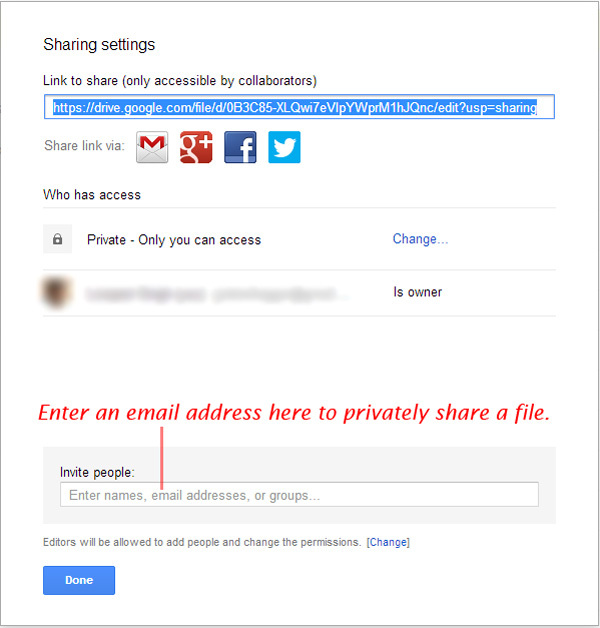 Step 6: If you want to share the file privately with someone then type in the email address of the person in the input box provided. Step 7: If you want to share your file as a downloadable link, you can click on the Change button beside Private – Only you can access can view and select Anyone with the link option and click on save. Now you can copy the URL address provided and share it with your friends and families. 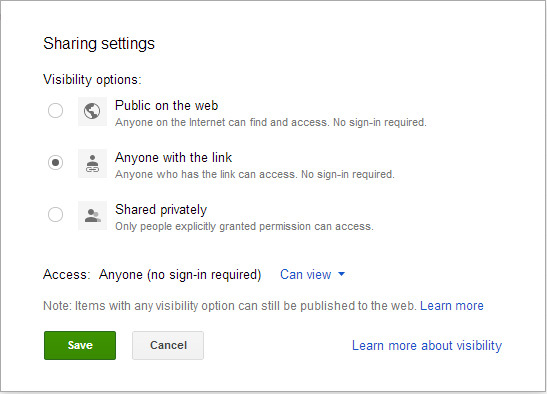 Anybody with the link can download the file and the person does not even require to have a Google account. Most of you might have been already aware of this, but for those who are not, this is a great method for sharing large files over the internet.